If you applied for an NSERC Discovery Grant since 2013, you will have received a survey from NSERC. This includes several questions about the funding model that was set out in the Long Range Plan for Research in the Mathematical and Statistical Sciences, (LRP) published in 2012. We urge you to complete this survey carefully: it will impact the decisions made at NSERC about the Discovery portfolio. 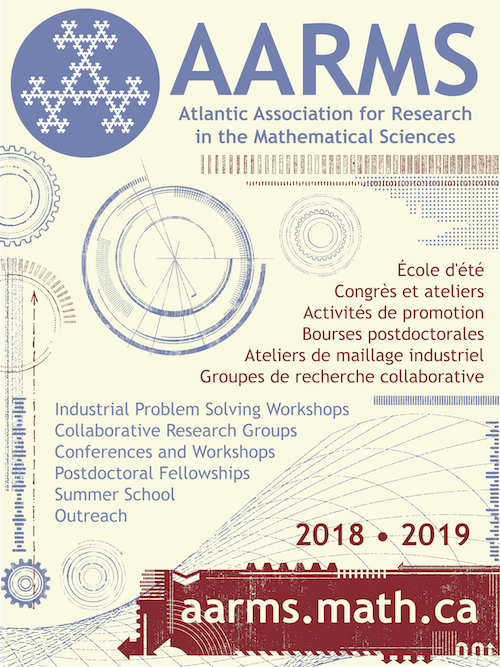 The survey includes questions about the program “Collaborative and Thematic Resources in the Mathematical Sciences” (CTRMS). This program funds PIMS, BIRS, Fields, CRM, AARMS and CANSSI. It was established following the publication of the Long Range Plan. Prior to the commissioning of the Long Range Plan by NSERC, direct funding to PIMS, BIRS, Fields and CRM was through NSERC’s Major Resources Support (MRS) program. Since 2002, PIMS, Fields and CRM have transferred a portion of their NSERC funding to AARMS. The value of these annual payments has not changed since 2002. NSERC’s decision to terminate the MRS program circa 2012 was the main reason for the creation of the LRP. NSERC staff suggested that an envelope of funding could be created for the Mathematics and Statistics Evaluation Group (EG1508). NSERC also directed the LRP to be established under a model of flat funding. Under a scenario of stable funding, the new Mathematics and Statistics envelope should have a fixed percentage of its funds allocated for support of Canada’s network of mathematical and statistical sciences institutes and the Banff International Research Station. We recommend that this amount be 19 per cent for the next five-­year cycle, based on the current annual budget of about $21 million for Discovery Grants and thematic and collaborative resources. Within this 19 per cent portion, we recommend that the percentage currently allocated to BIRS be reserved for its next competition. The LRP also recommended the establishment of the Canadian Statistical Sciences Institute (CANSSI). There are several other recommendations in the LRP, around process and goals for strengthening research in the mathematical and statistical sciences; these are collected in Chapter 8 (p.81). A very important recommendation was the creation of a committee of academics, called the “Long Range Plan Implementation Committee” to liaise with NSERC, to monitor the implementation of the LRP, and to advise on the 81/19 split of envelope funding between Discovery Grants and Institutes. The current Mathematics and Statistics Liaison Committee is NSERC’s response to that recommendation, although the interactions of the committee with NSERC have been rocky. Each of PIMS, Fields and CRM committed, in their proposals submitted in 2013, to continue to transfer funds to AARMS at the same 2002-2012 rate. In addition, they pledged to set aside a smaller amount of money to support inter-institute collaborations involving AARMS. Finally, funds were earmarked to create CANSSI. This five-year award was extended by NSERC for one additional year to allow time for the review of programs currently underway. New funding is badly needed for the EG1508 envelope. AARMS and CANSSI are poised to apply as independent institutes in the next competition. The mathematical sciences institutes are being eroded by inflation at the same time that they have expanded their range of activities. NSERC gets exceptional value for its investment in the mathematical sciences institutes. While individual institutes in Canada are funded at much lower levels at the federal level than in the US, they have all been extremely successful at leveraging this funding. In particular, the total funding of each institute in Canada is comparable to that in the US. 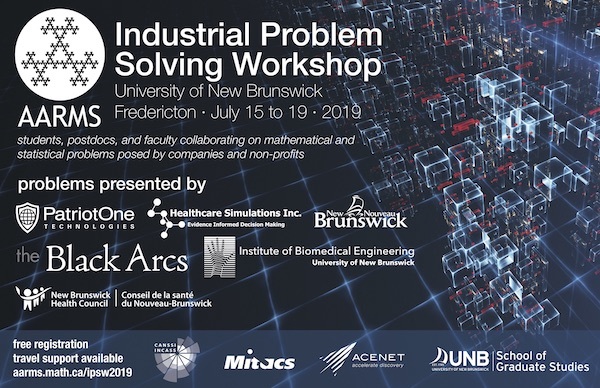 The institutes receive major funding from provincial governments and their partner universities, and also receive support from international agencies, commercial and industrial partners, and private contributions. 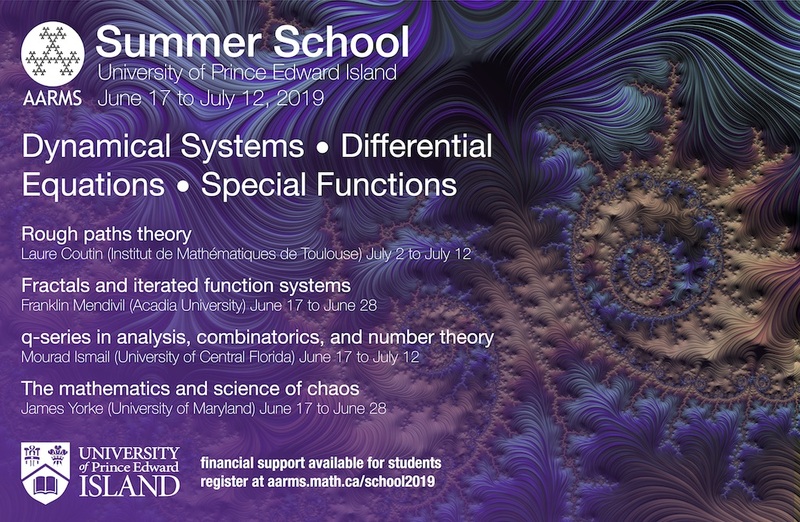 The NSF, for example, is an important contributor to mathematics and statistics in Canada, not only by its direct support of BIRS, but also by grants for support of American participants in institute programs. The same statement is also true of AARMS: Approximately one-quarter of AARMS funding comes from NSERC via the other institutes. The remaining amount comes from provincial governments and our member universities. Please complete the survey, and include your opinions where you are given the option. NSERC’s future support of the mathematical sciences in Canada will be shaped by the results.